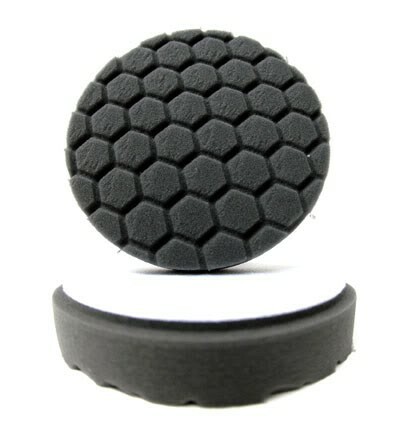 4.0" Hex-Logic Self-Centered Pad Black Finishing Pad. It has no cut and will apply thin, even coats of waxes, sealants, and glazes. Black Finishing Foam -Composition is firm enough to withstand added pressure during final finishing to remove buffer swirls. It has no cut and will apply thin, even coats of waxes, sealants, and glazes.